Help Us Celebrate a Century of Aviation Adventure as Mather Airport Turns 100! In 1988, Mather Air Force Base was designated for closure effective September 1993. Almost immediately, speculation began as to what would become of this massive and historic facility and a team was quickly formed to plan for the base’s reuse. 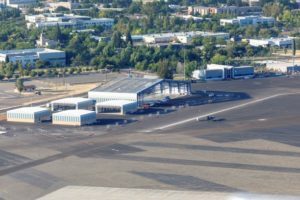 In 1995, shortly after the County of Sacramento adopted the Mather Field Specific Plan to provide a vision for the former base, the airfield reopened as Mather Airport (MHR). Portions of the base allocated for non-aviation development such as the Mather Commerce Center and the former Base housing area, were, with much effort and private investment, quickly transformed for commercial and residential uses. During the early years of its civilian life, Mather Airport gradually transitioned to a mix of military, government, general aviation, and commercial activity. The airport was designated as a relief airport to Sacramento International Airport. Federal grants were used to rehabilitate former military aviation infrastructure to meet FAA requirements and provide a baseline condition for future growth and development. 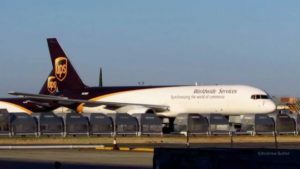 By the late 1990’s, companies like United Parcel Service, Trajen Flight Support, Mather Aviation and the Sacramento Sheriff’s Department had established operations at Mather Airport, moving the airport toward the vision of a regional aviation facility. While things were moving forward on the airfield, emphasis was also placed on maintenance of existing infrastructure and the demolition of former military buildings that were determined to have little or no utility due to their age, condition, or unique design. In fact, of the 415 non-housing buildings transferred, only 16 were deemed to have potential marketable value. Years of demolition led to Mather’s potential and a flurry of development. In 2013, EVA Air selected Mather Airport as the permanent home for its primary flight training academy. Development of the campus included new administrative and training facilities as well as shade hangars for the 15 aircraft used to train the next generation of pilots. 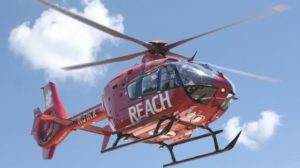 Shortly after, REACH Air Medical Services, headquartered in Santa Rosa, CA, opened a new base at Mather Airport to provide air medical transports for critically ill and injured patients throughout Northern California. Today as you pass through Mather Airport, the former Air Force Base’s landscape is definitely changing with the projects currently underway. Sacramento Jet Center (SACJet) built 80,000 square feet of NEW hangar space adjacent to its current facility. The hangars will open in September 2018, with several Grand Opening festivities taking place during Airshow week. SACJet plans to build additional hangars in the coming years. The realignment of the flight line along an extended Truemper Road promises a more efficient airfield that will open up previously under-utilized land for aviation and non-aviation related industrial and commercial development. Current tenants will enjoy modern utilities and infrastructure that will accommodate their growth while also allowing for new partners to move to Mather. The vision established in 1993 is moving towards fulfillment and we look forward to other new aviation and non-aviation development projects in the coming years. Come out and learn more about Mather Airport’s future at the California Capital Airshow September 21, 22 & 23 – Sacramento County and Mather tenants will be at the Mather 100 Museum sharing the airport’s vision for the NEXT century!